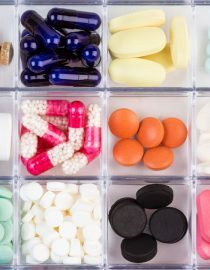 When looking at migraine pain relief options, migraine medications fall into one of two categories — preventatives and abortives. Preventative migraine medications are taken daily to help prevent migraine attacks from occurring. Abortive migraine medications are taken when a migraine presents itself to stop or abort the migraine. The earlier these are taken the better they work at stopping the migraine. 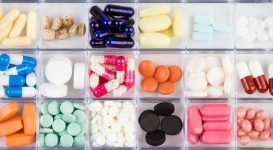 Which Medications Are Used as Preventatives? Prevention is key when someone with a migraine experiences frequent and disabling attacks. For instance, someone with a chronic migraine who has 15 or more migraines a month would benefit from taking a preventative medication. 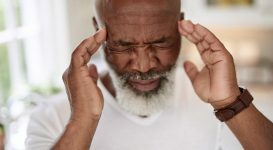 There are no drugs on the market that specifically target and prevent migraines, however, certain blood pressure medications, anti-seizure drugs, antidepressants, and some herbals have been shown to help in migraine prevention. The first class of drugs that specifically target and prevent migraines was approved by the FDA this past May. They are called calcitonin gene-related peptide or CGRP inhibitors. Certain blood pressure medications, anti-seizure drugs, antidepressants, and some herbals are also still used in migraine prevention. CGRP is a neuropeptide that is thought to play a key role in the pathophysiology of a migraine. The main function of CGRP is as a neurotransmitter in the central and peripheral nervous systems and also acts as a vasodilator. Studies have suggested that the levels of CGRP increase during a migraine attack. The role of CGRP inhibitors is to block the CGRP receptor which would inhibit the inflammatory response in the central and peripheral nervous systems. These class of drugs are the first to be developed specifically for the prevention of a migraine. 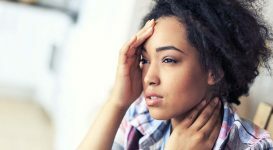 Erenumab is the first CGRP drug approved by the FDA for the prevention of an episodic and chronic migraine. It is a fully human monoclonal antibody that binds to the CGRP receptor. Erenumab is given by self-administered injection on a monthly basis. Dosage is 70 mg (1 injection) or 140 mg (2 injections). Those with a chronic migraine are most common to need the 140 mg dose. Aimovig is currently available for use. Fremanezumab is currently being reviewed by the FDA for the prevention of an episodic and chronic migraine with an anticipated approval date set for September 16, 2018. This is a humanized monoclonal antibody (derived from rats) that targets the CGRP ligand. Dosage will be given in a quarterly or monthly self-administered injection. 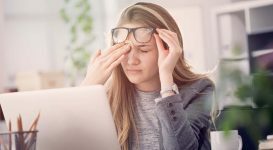 Galcanezumab is an investigational CGRP for the prevention of an episodic and chronic migraine and cluster headaches that is under review by the FDA. Like fremanezumab, it is a humanized monoclonal antibody that binds to and inhibits the activity of the calcitonin gene-related peptide. Galcanezumab will be a self-administered injection available in two doses (120 mg and 240 mg). A decision on its approval is set for the third quarter of 2018. 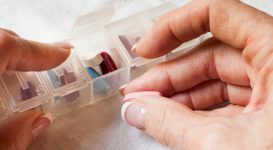 Next page: Learn more about abortive migraine medications, the potential side effects of migraine medications, and more.